Motherhood is big. It is full of intense love and frustrations, failures and triumphs, sleepless nights, self-doubt, endless responsibilities, but also moments of such beauty and tenderness we want to inhabit them fully and remember them forever. Whether you are new to meditation, or seasoned in the practice, Stillpoint can give you tools for the daily stresses and challenges of motherhood. Our carefully crafted meditations are designed for the unique needs of mothers, and can help you learn to regulate your emotions, be less reactive, be more present with your children, and enjoy deeper sleep. You will find wisdom specific to you and your desires and challenges as a parent, and see your children and your relationship in a new light. Through the mindfulness Stillpoint helps you foster, you’ll find yourself encouraged, enlightened, and enlivened. Upon downloading, all content can be accessed for 7 days. After this period you can still access some meditations, intentions, daily inspiration, gratitude moments and the breathe exercise; or subscribe to access all content. Stillpoint offers three auto-renewing subscription options. Your subscription will automatically renew at the end of each term and your credit card will be charged through your iTunes account. You can turn off auto-renew at any time from your iTunes account settings, but refunds will not be provided for any unused portion of the term. Any unused portion of a free trial period will be forfeited when a subscription is purchased. These prices are for United States customers. Pricing in other countries may vary and actual charges may be converted to your local currency depending on the country of residence. Finally, a meditation just for moms!! I’m a mother of four young children, and this app has helped me immensely as I have tried to navigate all things motherhood. Letting go and loving them for who they are, finding calm on a crazy day, and just taking time for myself to breathe and be still... and not feel guilty! It really is amazing what some positive words/thoughts and deep breaths will do for the soul. I’ve used other meditation apps as well, but this one takes the cake as none of those others really dig into the trenches of motherhood specifically and address my daily struggles as a mom. Beside being so very user friendly, the app is just pretty look at, and I love getting reminders through the day of my daily intention. It really helps keep me on track and I appreciate the gentle nudge and reminder of what I’m aiming to focus on that day. I truly can’t say enough good things about this app, it is genuinely a gem among meditation apps! I’m very new to meditation but I can already see the positive impact it has on my ability to stay calm and patient. I have 3 kids under the age of six and I feel like I am struggling to find any time for myself or for self-improvement. I love this app because it makes it simple for me to do something for myself in a short amount of time. It feels like the reassuring voice I need to hear that actually I am doing a good job and to help me let go if things that don’t matter. It’s great that you can pick sessions based on time or topic. I also love the ones to help you sleep because sometimes I’m trying to think about too many things! Most of all, after I do one of the sessions, I can greet my children with a full measure of patience as I try and help them navigate their struggles. Thank you for making it this app geared towards moms! Moms, you need this app. 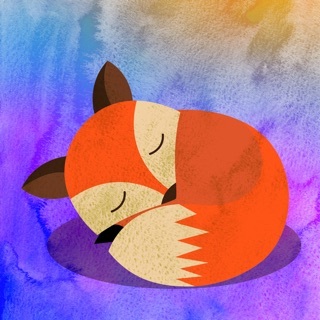 This app has helped me find moments of peace and calm after the toughest toddler tantrums and parenting days. The deep sleep meditation works wonders! It quickly calms my anxious, always-turning mind at ease and allows me to relax and fall asleep. The meditations are thoughtful and address concerns specific to motherhood and parenting. I always look forward to the meditations and rarely can stop at just one. Highly recommend!